Chardham Tourism offers Char Dham Taxi Service. The taxi service can also be availed of from private Tour Operator in Haridwar. Online Guide to Char Dham provides you Taxi/car/cab and Bus Rental from Haridwar, Luxury Deluxe Coaches from Hardwar, and Taxi service from Haridwar. Char Dham is one of the most popular tourist destinations in North India. A large number of travelers from all over the world visit Char Dham to explore its awesome attractions and historic places and Himalayas. Chardham is one of the most sacred pilgrimages as per the Hindu religion. It can be best described as the circuit of mythologies, the journey towards the four abodes of God. Travelers can explore the Chardham attractions of Gangotri, Yamunotri, Kedarnath and Badrinath comfortably by booking a Taxi or Car from one of reputed car rentals of Haridwar. If you are looking for Taxi service for Char Dham Yatra, then you have landed at the right place Chardham Tourism offers you all types of car rental services to our guests. You can easily book your taxi/car/cab and coach rental with us. Chardham Tourism offer you a wide range of medium and large sized with the Cheap, Economical, Best - Comfortable Car - Taxi Rental by providing updated information and rates. Chardham Tourism mission is to offer safe, reasonably priced Char Dham Taxi service to you. Our agency is supported by experienced trained drivers that enable us to provide best services in the Chardham Yatra circuit. 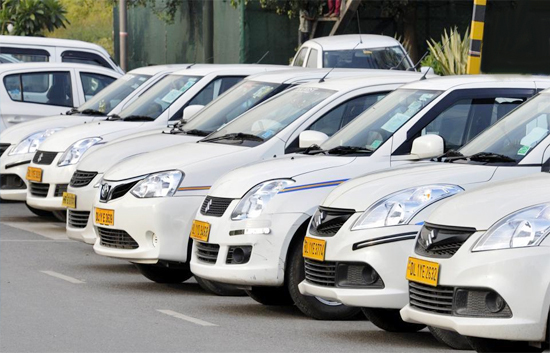 Char Dham Taxi services are known for their reliability, promptness and cost effectiveness. Our Taxi fleet contains a wide range of taxi/cab/car booking for hire, from luxury vehicles to budget cabs with AC, non AC with luxurious facility. A complete power of religion and spiritualism that overcome in these spots is enough to attract thousands of devotees yearly in peak season. One of the major problems that you can face while departing on your Chardham Yatra is transportation. It can become quite irritating organize travel providers and arranging for a smooth Yatra. The best alternative for you is to hire a Chardham Yatra Taxi/Cab/Car/ Coach Rental service that can help you coordinate your tour. 01: Chardham minimum 9 days. 02: Kedarnath-Badrinath Minimum 05 days. 03: Gangotri Badrinath Minimum 07 days. 04: Gangoti kedarnath Badrinath Minimum 07 days. 05: Ac will not work at hills. If you want to ac car you have to book before. 06: If you book AC car then you have to prepare swith off ac at high hills. 07: That's cost will be add chardham and on the way sightseeing out side sightseeing will be chargeable. 08: GST will be extra on bill. 09: Rates can be change in may and jun so please clear the all details before the booking. 10: May and jun is very peak season for chardham so please don't accpet new car. 11: Ex Delhi will be 03 day extra charge.